Worm castings usage comes in several forms, from the average home gardener to the local landscaper to the commercial farmer. Worm farming, in my opinion, is every bit scientific as it is a simple process of nature used by people like you and I for thousands of years. You can blindly throw in a guesstimated amount or use a precise mathematical equation based on years of extensive controlled testing. That's the beautiful nature of worm castings. So what are the many uses of castings? Worm castings usage is pretty much in every aspect imaginable that deals with plant health and growth and even used as a homemade facial mask. As I have said before the worm castings and the tea (made from the cast) promotes growth, health, and fruit yields. The Worm Castings were already mixed in the wagon. I forgot to mention. Worm castings is even proven to stimulate plants into producing certain hormones that help it to resist pests like insects and diseases. You can harvest your cast anytime you want as long as the material is composted thoroughly. The cast will have to be separated from the worms and cocoons unless you have a flow through system such as The Worm Factory, or The Urban Worm Bag, or some type of homemade wooden or plastic flow through system. 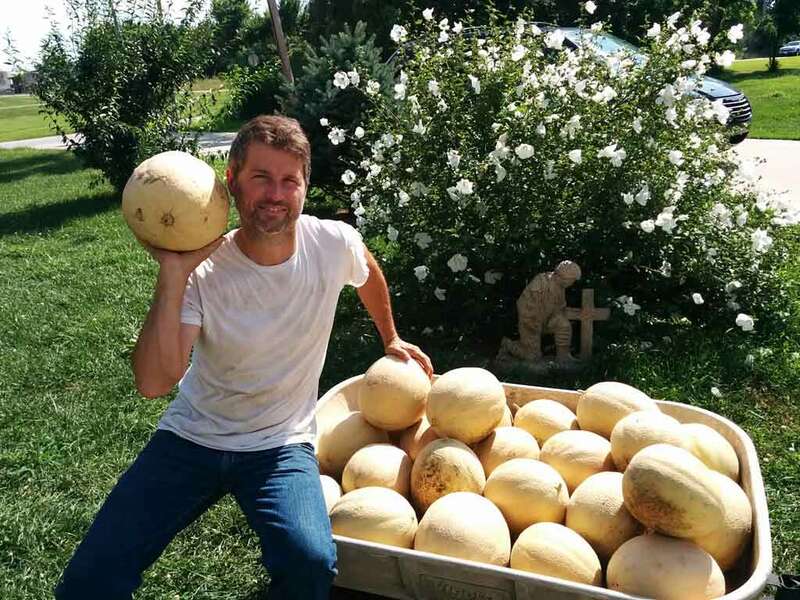 Many people do most of their harvesting in Spring, Summer, and Fall. Unless you have house plants or live in a warmer climate you'll probably just let your worm bin set for the winter building up your supply of dark rich humus. You may or may not, depending on how efficient you are at harvesting the cast, end up putting some worms and cocoons in with your transplants. This will not hurt the worms or cocoons as long as you keep the soil moist, but understand that the worms that are used for composting are not garden worms. Compost worms live in organic-rich decaying matter and a garden does not support such rich abundant decay. Your plants will enjoy the worm's company and the benefits they give and the worms may even live long enough to complete another cycle of life. The worms, after dying, will release some nitrogen that can benefit the plant, but will not make it through the hard winter. Worm castings is used by several landscapers and gardeners who appreciate the short AND long term benefits of worm castings. The cast has a time released process that many have come to appreciate. The rich humus is spongy, therefore absorbing water and holding in nutrients and releasing them when the plant feels the need to absorb the food. Gardeners tend to approach worm castings usage as a set-it-and-forget-it attitude. Landscapers as well, because they know they will not have to be back continuously for high maintenance. If you do your own landscaping around your house, especially edible-landscaping, then using worm castings for the increased yields and beauty will not only make the neighbors envious, but also want to be invited over for dinner. If you would like to learn about edible landscaping. Patty of Edible-Landscape-Design can walk you through step-by-step. Patty knows her stuff and has been "digging in the dirt since as long as she can remember rescuing flowers, bringing them home, and nursing them back to health." For me, it's an interesting concept especially if you are tight for space and would like to know what grows best around your house either in the sun or shade. 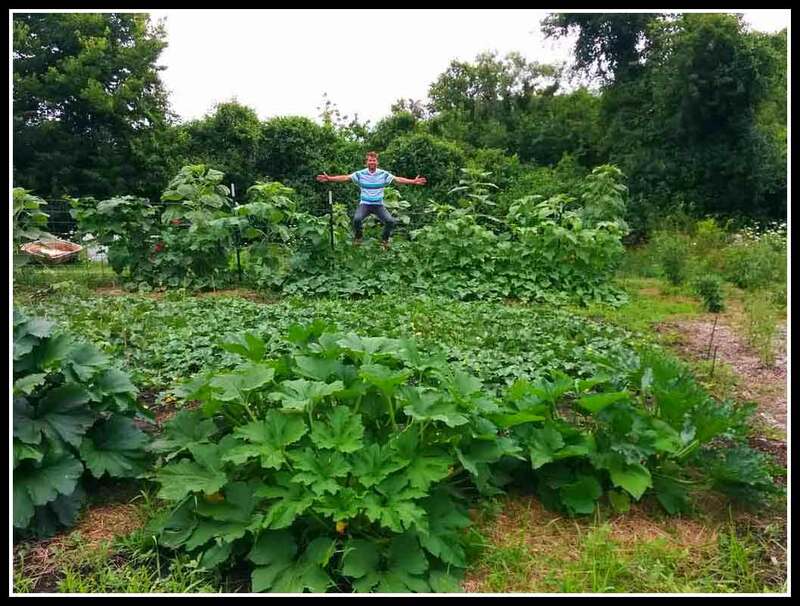 So if you are serious about starting a garden with your landscape, then stop by her place and experience 40 years of natural and organic knowledge and turn your yard into a paradise. You can also purchase her material on Edible Landscaping. To apply the cast in your garden or landscaping plants as transplants, dig the hole where you will put the plant in. Now put the cast in first so that the roots rest on top. When the roots grow throughout the months they will grow through the cast, out, and underneath. Next, cover up the castings and plant roots. Lastly, what I like to do is sprinkle a little in around the top since the cast is great for holding moisture in. Mix it in a little with the surrounding soil on top. Maintain the fertilizing process throughout the spring and summer by reapplying the top dressing or working it in a little deeper while trying not to disturb the delicate root system. The cast should be used throughout the drip line area (from the ground at the stalk to the outer branches) to ensure that the roots, which can extend out for many feet on some plants, are readily getting the nutrients. a little truly goes a long way. You'll find out, when used in conjunction with the worm tea, that you will not have to maintain the cast as often throughout the life of the plant. A germinating seed, just like a newly hatched chick from an egg, has all the necessary nutrients available to sustain life after the first few days, but then becomes dependent on its surroundings for the rest of its life. So, to add the cast to the seed row, simply sprinkle a little in then drop your seeds in and cover up as usual. Cultivate the cast into the topsoil about once a month. First of all let me say (in my most humble opinion) that the best mix of all for your starter pots is the one you come up with yourself. Someone can tell you that this mix is best or that one, but there can be several variables that may call for several variations. Now don't be concerned. Use the worm castings. Use it until your little heart is content. I'm just saying that there are some plants that do better with more and some that do better with less. Some people have a different climate and some have different soils. 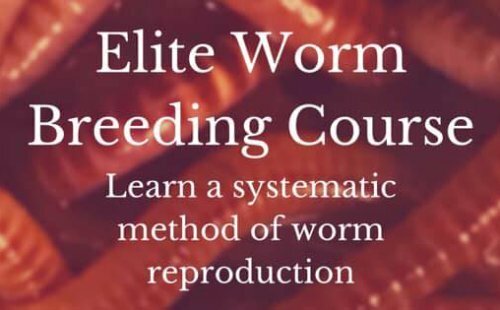 As a general rule of thumb, what I and other worm farming ranchers use, is a mix of 25% to 33% cast to other growth mediums. Here's my recipe as a guideline and I have a great outcome with my plants. Many healthy people can also get sick or succumb to disease when the conditions are just right, like cancer. Cancer can show up in a perfectly healthy person. The cancer cell only needs to have the right conditions to be able to grow and multiply. If you are healthy your chances of getting sick are reduced exponentially and the cancer cell will have extreme difficulty in multiplying. So let me again say that if you keep the conditions right for your plants this will help you to maintain healthy plants and unbeneficial microbes will have difficulty in multiplying, but sometimes it's not always possible to do. Harmful insects, parasites, and disease can also creep in when the conditions are right for them. Always remember, Environment, Environment, Environment! I have said many times that the goal is for the good microorganisms to survive and out number the bad microorganisms. This gives little chance for the bad ones to take over and wreak havoc, but at times the right conditions will creep in through many variables in an effort to preserve whatever purpose the bad microbes were created for. Agriculture and horticulture, to a degree, depends on us to create a healthy environment or proper conditions. If we take a plant out of its natural habitat where it was once thriving, then we will have to work even harder to create a better condition for that particular plant. It might need more or less water, sun or shade, or have to be kept warm and out of the frost. The point is we can produce the best conditions to the best of our ability, but sometimes nature has a way of protecting all life whether it be beneficial to us or not. OK! Nuff said! On with "The Mix". The percentage for castings is indeed an experimental one as stated in the my Revolution and Secret Recipe books. Some people, though, will need a starting point for that experiment and I suggest starting at either 20-25% castings. Mix all of these together then place it in your starter pots for your seeds or seedlings. When transplanting to the garden or landscape, you may add a little more of the mix since this will be the last time you will put it in with the roots. Every month apply a top dressing. Can you use 100% worm castings as a growth medium? Some plants will grow too fast causing stalks to be spindly and weak. Some will grow too slow taking too long to mature properly. Some vermicomposts can differ in nutrient levels and ratios. I have seen personally that using 100% castings caused my tomato plants to grow tall and spindly allowing them to bend in the wind and break if not tethered to something. Allow your plants time to grow slowly, therefore creating a thick stalk that will stand against the elements of nature. Worm castings differ from vermicompost to vermicompost. Remember vermicompost contains not only worm castings but bedding and partially broken down organic matter. 99% castings have been broken down so much that it can contain higher amounts of nitrogen, phosphorus, potassium, and calcium. This combined with other forms of various elements can create high amounts of salts. This will not burn your plants as with chemical fertilizers to the point of killing them, but is why it is a reason to mix it with other forms of organic substances. As I already mentioned, a top dressing is used in the maintenance and care of your plants. In gardens and landscapes, sprinkle it around the drip line of your plants working it into the dirt a little. Don't leave it just sitting on top of the soil not mixed in. When the cast is exposed and sits out to dry in clumps it can set up like a brick so it needs to be sprinkled like crumbs and mixed into the soil. You also don't want the wind or rain to blow or wash it away as it can be very light when dry due to its spongy nature. Apply the cast to your house plants in the first 1/4 to 1/3 inch of soil every 2 months or less as needed. Take soil out as needed to make room for the new cast. Be careful though not to let watering get away from you. Plants in pots that have good drainage can dry out quickly. If the contents dry out completely it can kill the beneficial microbes. If it remains at least moist, then the microbes will go into a stage of dormancy awaiting the breath life when you begin to water it again. I advise always to water with worm tea or chemically-free water and NOT bottled or tap water. This contains chemicals like chlorine which is designed to kill ALL living organisms. If you must use tap water let it set out for a day or in the sun for about 4 hours before using it to allow the chemical to gas off. This may actually take more worm castings then you care to part with if you have a large area to fulfill. That is another reason why I also recommend using the worm tea on lawns, but remember a little cast goes a long way. Be sure you're not using large clumps of the cast or you will spread it too thin and run out quickly. Leave it out to dry somewhat till it will break down into smaller crumbles then sprinkle on the lawn liberally. Go for coverage rather than thickness and apply once a month if you have enough. Water with worm tea using a shower watering bucket or hand pump sprayer. The benefits of worm tea is absolutely amazing. Let the rain take care of every thing else. There have been studies showing that actually using 100% of the cast have been less beneficial to plants. As stated in Mary Appelhof's book Worms Eat My Garbage: 2nd edition there was a study performed by Kalamazoo Nature Center on the use of worm castings on African violets. This study consisted of 3 tests. 100% potting soil on left, 100% cast on right, and equal parts of cast, perlite and peat moss in the center which would render the cast percentage to 33%. Which one did the best? That's right the 33% mix. The left suffered a little yellowing of the leaves (chlorosis) which was a possibility of nutrient deficiency and growth was stunted. The ones on the right, although had more of the nutrition were also not as strong and vibrant. likely it was due to high concentrations of salts in the cast that also stunted their growth. Overall when experimenting with your plants use the 25% x 4 approach. You will find that you'll be able to back off on the worm castings if you are diligent in your studies and take notes. Try using a controlled setting and for each series of plants use 5% less castings each time. I have read that some need only to use 5% cast for their plants allowing them to cause their "Black Gold" to stretch even farther. A little really does go a long way. 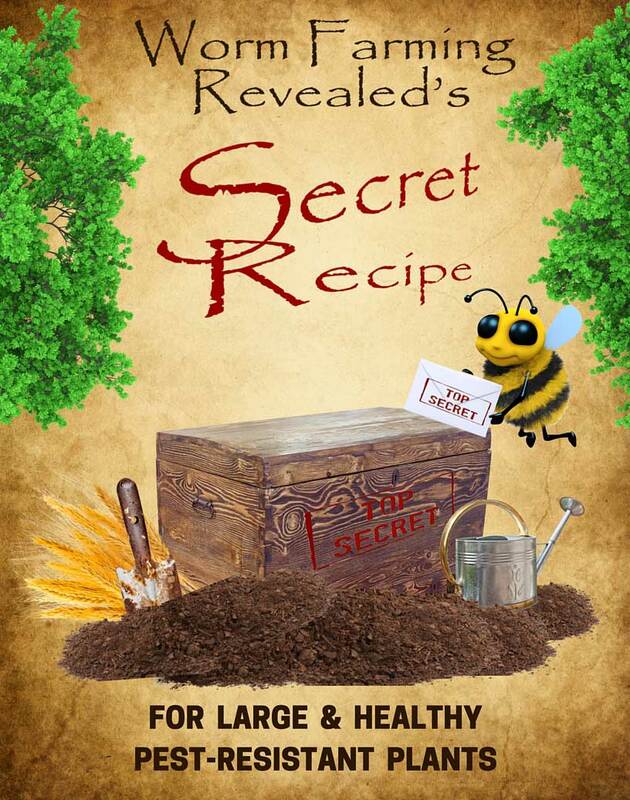 Or you may be interested in my Secret Recipe book below. for Large, Healthy, Pest Resistant Plants. This is my personal recipe & methodology, that I use every year, all in 40 pages.